Looking for a healthy treat? 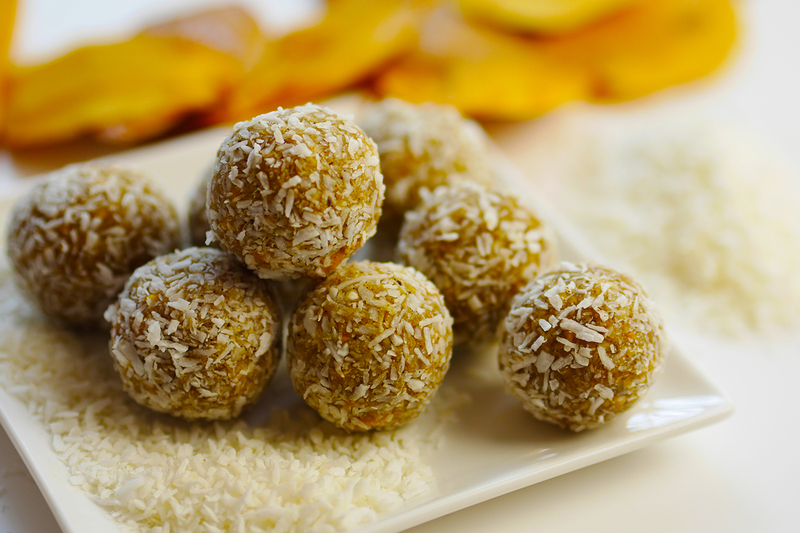 Try these bonbons made from dried mango combined with fresh lemon juice and cashews. The ideal subsitute for conventional sweets. The food processor does all the hard work. You just have to roll them! Roll small balls inbetween your hands (cherry tomato size), this can be sticky!